Looking for an innovative or easier way to expand your industrial pursuits in Maryland? Have you been looking to revamp your brand or the way your business presents to the world? Perhaps you have a complicated project and need assistance. Whatever your needs are, utilizing a helicopter service is a great solution. Helicopters can support your business in many ways. Aerial photography provides sleek, vivid photographs to show off your product. Aerial surveys are a great way to capture data about land or wildlife. 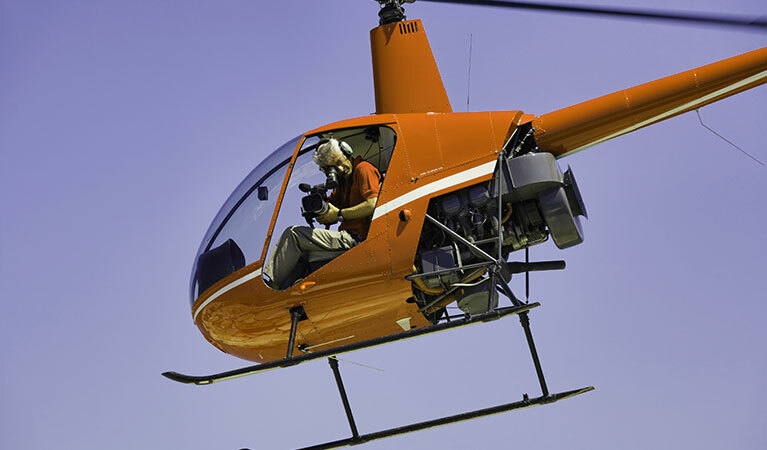 Videography provides professional videos from the air, giving viewers a cinematic experience. Helicopters can be used in other ways as well. It’s just a matter of what a service like this can do for you. Maryland is a great state for business opportunities. If your industry is in film, aerial videography has been used in Baltimore for several movies, including The Sum of All Fears. This service has also covered aerial footage of sports games involving the Baltimore Ravens and Baltimore Orioles. Aerial photography can be a great asset for tourism businesses in Maryland. You could use this service for pictures of Baltimore’s city skyline or show aerial photos featuring the popular beach destination, Ocean City. If you’re interested in real estate, an aerial mapping service would be great for showing clients properties for sale in places like Port Covington, an area near the water and close to downtown Baltimore. FairLifts gives you a great opportunity to expand your business with the helicopter services below. We have a network of helicopter operators ready to serve you. Photos and videos are a sure way to market your business. Adding aerial photography or videography is great for displaying your product or service too. Get clear, professional pictures of skylines. Capture amazing video of the coastline. You have ample chances to make your company stand out from the competition. Aerial surveying is accurate and detailed so you can collect the data you need. We can also connect you to helicopter operators for aerial mapping. This service allows you to learn about the land where your business operates. It may also serve as a useful tool for your industrial endeavor. Do you need back-up to catch criminal suspects on the run? Fortunately, helicopters are great allies to law enforcement. They help police officers find suspects from the air, as well as monitor other potential criminal activity. With a helicopter as your asset, you can help ensure safety in your community. Wildlife surveying and sampling are an ideal service for collecting data on animals, particularly endangered species that are hard to find. This helicopter service can also be used to count the ratio of livestock to predators, how animal populations fare in particular environments, as well as discover resurging wildlife populations. You can reach one of our agents at FairLifts any time, any day of the week. Everyone you talk to is knowledgeable about the photography service you’re looking for, so you can be confident you’ll get the helicopter you need. Get started by calling us now.